The UK’s new Watchkeeper drone has finally been sent to Afghanistan. Well over three years late and just weeks before UK forces are due to be withdrawn, the MoD announced that Watchkeeper had become “fully operational.” However it is not clear what this means especially as all remaining UK troops in Afghanistan have been withdrawn to Camp Bastion and with the MoD announcing last month that all UK “offensive operations” have ceased. The MoD refused to tell journalists how many Watchkeepers have actually been sent to Afghanistan. The Watchkeeper drone has been developed under a £900m MoD contract by Thales UK and Israeli company Elbit Systems. It should be noted that while Reaper drones are operated by the RAF, Watchkeeper is operated by the British Army and specifically the Royal Artillery. Its purposes is to target in artillery and rocket strikes although the MoD states as always that its drones are ‘to protect British troops lives’. Watchkeeper is based on the Israeli Hermes 450 drone which the UK has been renting for use in Afghanistan since 2007. In December 2013 War on Want argued in its Killer Drones report that the UK was complicit in Israel’s crimes against the Palestinian people by “in effect, buying technology that has been ‘field tested’ on Palestinians.” The MoD reported in October 2012 that eleven of the Hermes drones flown by UK forces had crashed. Given how much money has been spent on Watchkeepers, there are now desperate efforts to sell the drone to other countries to try to recoup some of the near £1 billion costs. 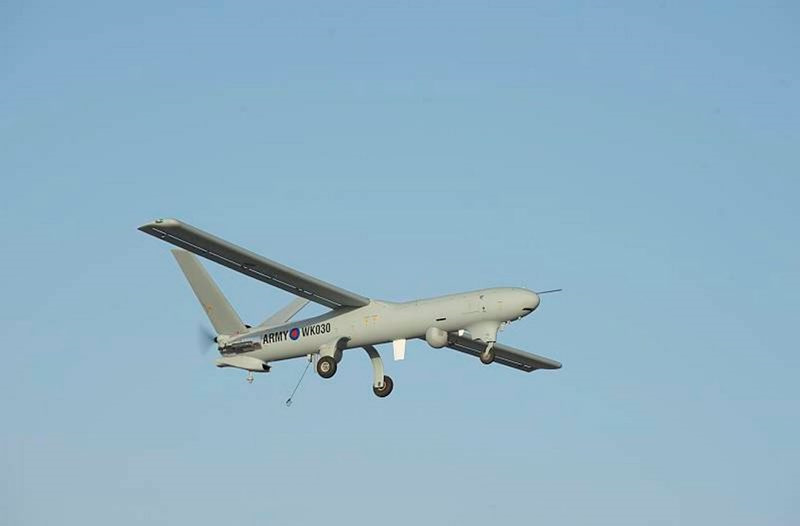 Watchkeeper has been offered to the French as part of the ongoing UK-French co-operation on drones and Thales UK announced at Farnborough airshow that it is willing to sell – or even lease them – to civil customers. Shockingly Defence News reported in June that around half of the 54 Watchkeepers being built will be mothballed even before being used.